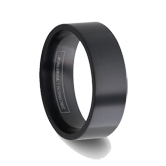 A tungsten carbide ring is one of the most stunning pieces of jewelry on the planet today. 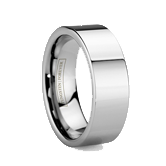 With features that are simply unparalleled by other precious metals available on the market and ranking among the hardest metals available, tungsten carbide provides a platform for a shine rivalling the brilliance of diamond. And like a diamond, tungsten carbide's alluring shine lasts a lifetime. Tungsten wedding bands are a relatively new concept, though. 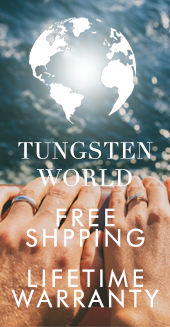 Many people around the world have yet to hear about the unique qualities of tungsten rings. Of course, this lack of notoriety is not due to its shortcomings, rather it is quite simply because it has taken the advent of recent technology to bring us to a level where tungsten carbide rings are possible. As the old adage goes, "nothing good comes easy." Surely, this wisdom applies to tungsten rings. From the moment it comes out of the earth, the acquisition of tungsten requires a Herculean effort and some of today's most sophisticated mining processes. 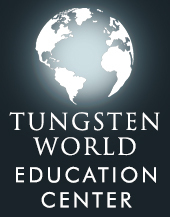 Tungsten is largely mined from the mineral Wolframite, which can only be found deep inside quartz veins. These veins are found deep inside granite quarries, making tungsten one of the most difficult metals to mine on earth. 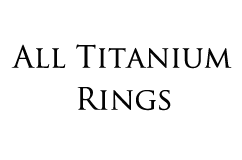 Once the mineral is excavated, there are several extraction stages that must be reached before a pure tungsten element can be isolated. 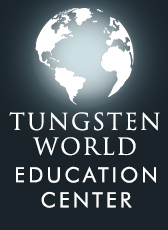 The tungsten is then ground into powder that can approach sizes as small as half a micrometer. 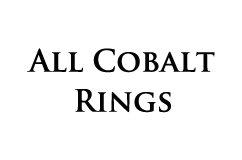 This powder is combined with carbon and other elements in order to give the final product those extraordinary properties that tungsten carbide has become known for around the globe. One of the main benefits of this adhesion is the resulting impact resistance that tungsten alone would not have; such as the ability to better withstand heavy impact or compression without cracking or shattering. To create the composite, the powder is compressed at extremely high pressures and temperatures in a process called hot isostatic pressure (or HIP) sintering. HIP sintering employs pressures between 15,000 p.s.i. (103 MPa) and 45,000 p.s.i. (310 MPa) and involves temperatures up to 2400 degrees. This is because tungsten has the highest melting point of all the metals known (at the time of this writing) and is second in hardness (even before the infusion of carbon) only to diamond, which is, as far as we know, the hardest natural material in the known universe. 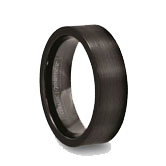 This process has allowed tungsten carbide to reach whole new standards of hardness. As a result of this increased strength, a new level of beauty can now be attained. The product of this sintering process creates a product so hard that diamonds are required in the facilitation of the ring-forging process, giving the tungsten ring its trademark shine. It wasn't until the late 80's that human ingenuity and technology reached a level where this kind of process could become even remotely feasible. Twenty years later the process has evolved to the point that we are beginning to see a once unforgettable metal adorn the fingers of grooms around the world.